Moving any kind of non-essential product is challenging in the quarter following a holiday season, but Apple continues to dominate the tablet market - even as an expanding lineup of Android-based competitors continue to tread water in its wake. New data released from IDC Group this week reveals that Apple continues to have a tight grip on the tablet market, particularly following the debut of the new iPad in March. 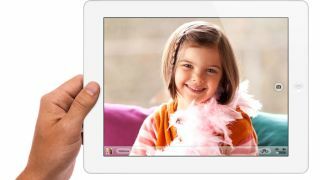 Despite lower unit sales following the holiday season, the iPad scooped up 11.8 million of the 17.4 million units sold in Q1 2012 for a whopping 68 percent share. Apple's numbers may appear to be an improvement from the iPad's 54.7 percent share of the market in Q1 2011 - particularly with even more Android-based competitors now in the tablet space, including Amazon's $199 Kindle Fire. However, tablet buyers remain unimpressed and continue to flock to the iPad, particularly now that last year's iPad 2 is now priced even lower at $399. "Apple's move to position the iPad as an all-purpose tablet, instead of just a content consumption device, is resonating with consumers as well as educational and commercial buyers," explained Tom Mainelli, IDC research director for Mobile Connected Devices. Even with a strong introduction back in November, Amazon's Kindle Fire experienced a sharp drop in sales during Q1 2012, although the e-tailer is expected to come roaring back later this year with a rumored 10.1-inch version of the tablet - just as other Android tablets are finally shifting toward lower price points. "It seems some of the mainstream Android vendors are finally beginning to grasp a fact that Amazon, B&N, and Pandigital figured out early on: Namely, to compete in the media tablet market with Apple, they must offer their products at notably lower price points," Mainelli concluded.